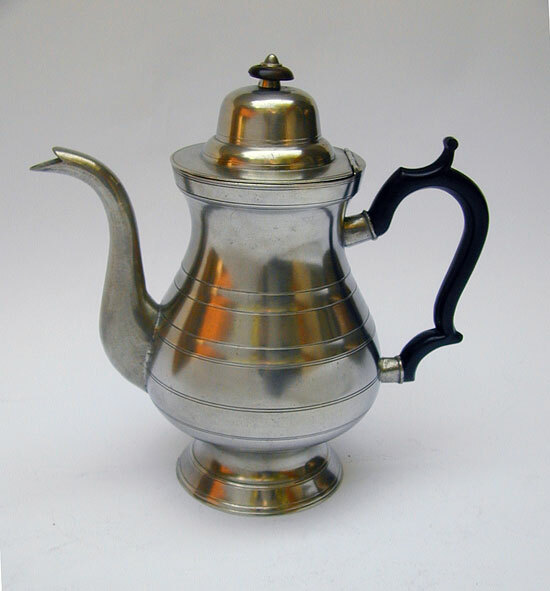 Allen Porter made two sizes of this style of coffeepot. This is the shorter of the two. 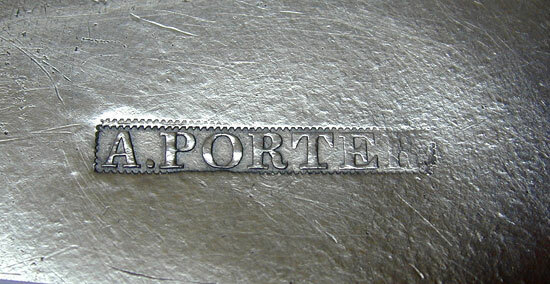 Porter worked in Westbrook, Maine from 1830-1840. 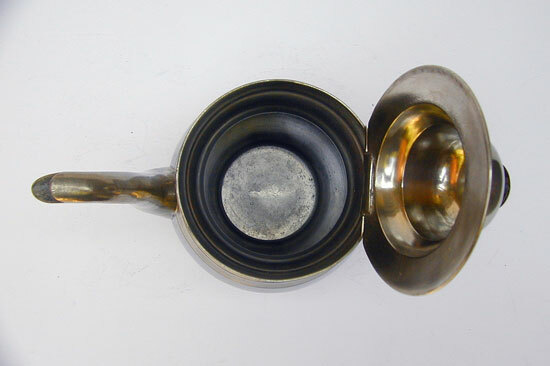 The quality of his work and design were excellent as they have a excellent sense of balance. 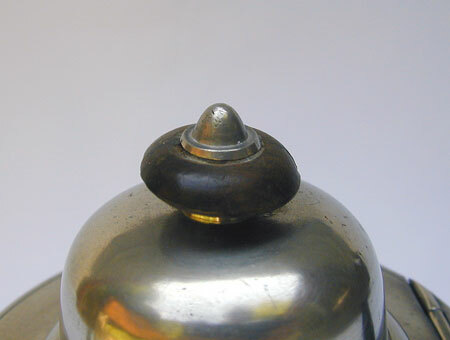 This pot measures 10 3/4" tall to the top of the finial which retains the original wood button. 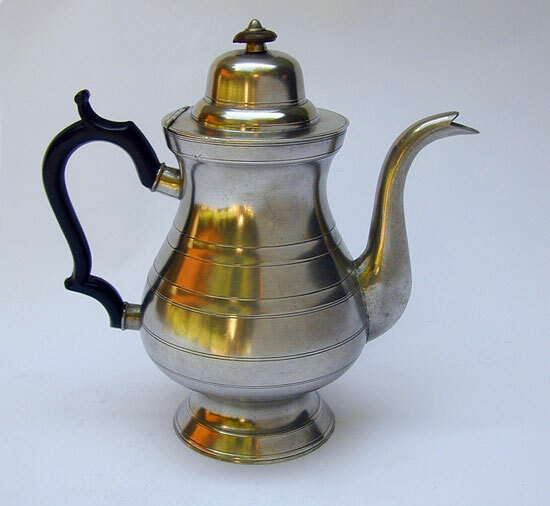 The coffeepot is in very fine condition inside and out. The touchmark is excellent.